Suzuki has unveiled the G70 Concept at the 2012 Geneva motor Show; a lightweight petrol car with comparable fuel consumption to current-market hybrids. 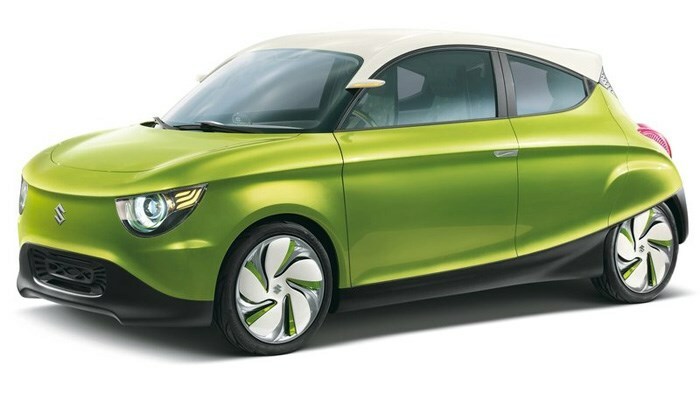 The small car weighs just 730kg and has a drag coefficient 10% lower than Suzuki’s Alto, allowing it to emit just 70g/km of CO2. So it’s not just green, it’s also green. Bob Brown’s already got one on order. The powertrain that makes this all possible is an 800cc turbocharged direct-injection petrol engine with CVT transmission, an Auto Start Stop system and regenerative braking. The G70’s funky interior features a transparent touch-panel display and a floating infotainment interface that can recommend destinations and music choices as well as display friends driving nearby on a map.